Cole Shank is much deserving of the Employee of the Month recognition. 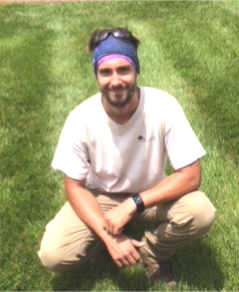 Beginning as a team member in February 2015, Cole grew into an entry level foreman’s role at a time when we really needed him. He continues to grow his horticultural and site management skills with every season; with his self-drive and his reliably excellent attendance, he is able to provide results we are proud of. You will see the efforts of his dedication if you visit the Center City and LeBauer Parks in downtown Greensboro. We appreciate Cole’s pleasant can-do attitude with co-workers and clients and that he holds himself accountable for the condition of his properties.